If you’ve ever looked back at previous blogs on your website, you may have found yourself lost in an archive of outdated content. While this may seem harmless at a glance, old, unpolished content can actually hurt your organic traffic. When seeking out popular, high-performing content, search engines will factor in even your oldest content to measure your website’s credibility. This means that the more underperforming blogs you keep archived on your website, the lower the chance Google has to properly display your relevant content. To locate low-performing blogs on your website, you’ll have to do some thorough digging into your archive. When was the last time a visitor accessed the blog page? If it hasn’t received any attention in the past year or so, it may not be relevant enough or SEO friendly. What are the page's overall metrics? The most common metrics to track would be traffic sources such as organic, direct, or referrals. However, you should also be measuring your bounce rate, backlinks, unique visitors, and whether or not a visitor converted. Is the content still relevant today? For example, it may be a blog that focuses on best practices from back in 2014, making it outdated. Think back to the last time you visited a website’s blog and found yourself cycling through countless articles with similar titles and content. The experience is hardly engaging and makes searching for the most relevant content all the more difficult. By performing a content audit, you’re able to better organize your blog pages based on topic, date, or even author. Identify your existing content pieces, which can range from blogs, ebooks, infographics, whitepapers, and more. You'll want to have a neatly organized list of content by how it's accessed (such as through a CTA or simply through visiting a blog) and whether or not the content is gated. Create topic clusters to arrange your blog topics around pillar pages. This will help you to have a visual look into your current content strategy and how often you’ve published content under the same topic. Pay close attention to engagement rates from your content pages. These are critical because Google indexes your website based on the overall engagement on a webpage, so you want to ensure that Google only tracks your top-performing content. Replace outdated call-to-actions with more current offerings. If your blog is using statistics, be sure to update the numbers to be more accurate with the current year. Develop a follow-up content piece that acts as a “part two” to the original blog. Repurpose the blog content into a new piece such as an ebook or whitepaper. Update irrelevant links to lead to more up-to-date webpages. This can include linking to your more current blogs or recent third-party source articles. 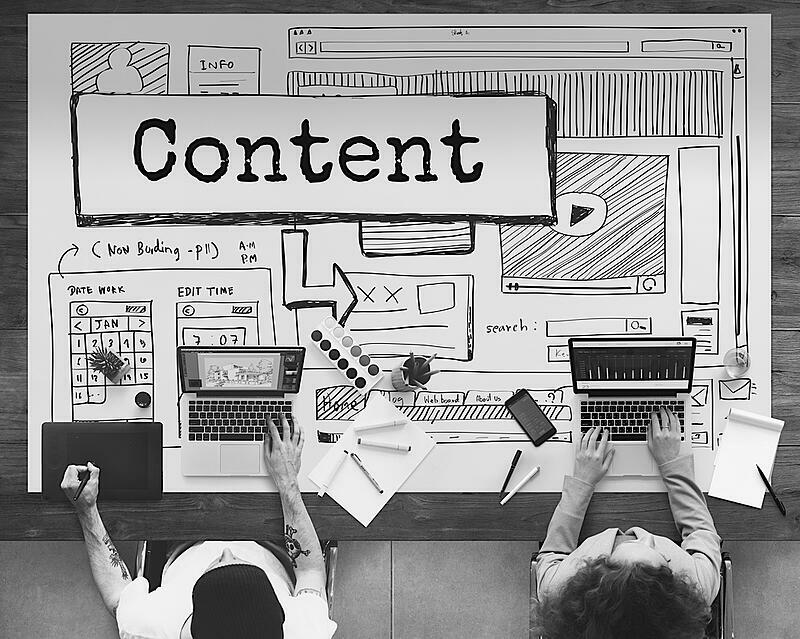 The key to mastering your content development strategy starts with performing the right content audit for your company. Thinkdm2 specializes in b2b marketing and branding for technology and SaaS agencies. If you’re looking for additional methods to get the most out of your content, you’ll want to visit our topic clusters blog. We’ll show you the essentials of using topic clusters and pillar pages with your content marketing strategy.